Mercedes-Benz is probably one of the few carmakers that can produce fast cars and equally good SUVs. Now imagine a machine that combines the best of both worlds. Well, there's already one from Germany, the BMW X6. It has been around for a few years now and actually did start the coupe SUV segment. Mercedes have also joined this party with the GLE Coupe. There are various trims and engine options that will use this new body shape. 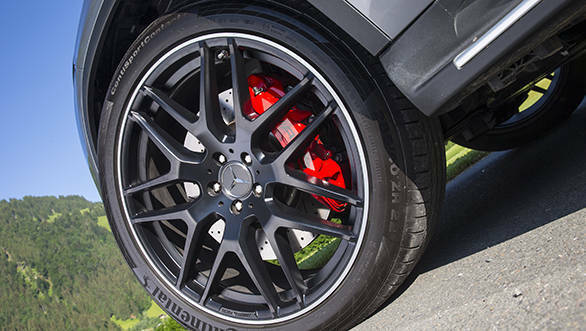 We drove the most extreme, the Mercedes-AMG GLE 63 S 4Matic. 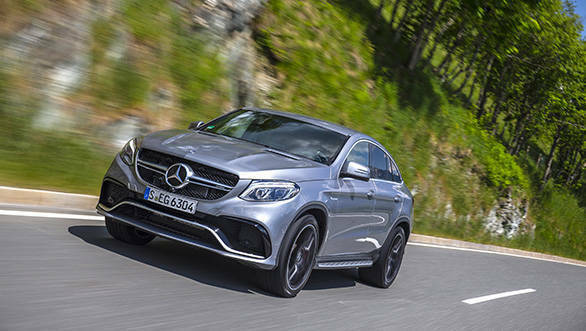 This GLE uses a coupe design with SUV-like ground clearance. It is an attention magnet for sure but does take time getting used to. Viewed from the side, the fast roofline and the small glass area is very coupe like. Move to the front and the SUV presence is very obvious. The headlamps and bonnet are carried forward from the regular GLE but everything else you see is all-new. It's interesting how the designers and engineers have come together to create this unique design by using the existing M-Class platform. The rear end is very different when compared to the current Mercedes cars we are used to seeing today. There is some inspiration though. The LED lights are slim like in the S-Class coupe and look the part, especially when the sun goes down. A chrome strip runs above the lamps across the width of the car. 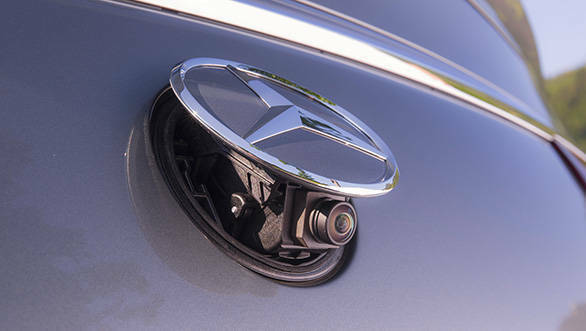 The three pointed star logo pops out in reverse gear and reveals the camera. Inside, the standard GLE dash has been carried forward. So it isn't an all-new design but then there is the new steering wheel, hi-res centre screen and the update control knob and new touchpad. High quality materials and inserts have been used to create a cabin that is luxurious and at the same time a reminder of the AMG character. There is sufficient knee-room and the cabin is comfortable too. Boot space is impressive. Mercedes-AMG actually claims that the vehicle holds a world record for most luggage compartments in a coupe! That aside, the boot is actually quite spacious. However, if you happen to be taller than 6 feet, your head may end up touching the roof when seated at the rear. It still can comfortably ferry five people and their luggage despite the body-style and other design compromises. The GLE we drove had the popular V8 motor that produces a sportscar like 585PS of max power and 760Nm of torque. 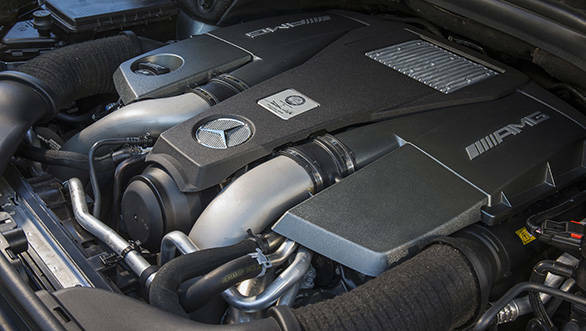 All this power is transferred via the AMG tuned 7-speed automatic transmission to all four wheels. This is the 63 S so 100kmph comes up in a claimed 4.2 seconds! That's very impressive considering the vehicle tips the scales at 2.3 tonnes. Top speed is restricted to 250kmph. Claimed overall efficiency is an equally shocking 8.5kmpl. There are other variants too like the GLE 63 and the GLE 450 AMG. 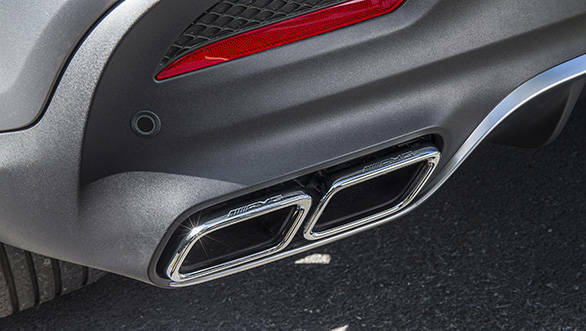 The latter uses a 3.0-litre V6 that produces 367PS and 520Nm of torque. We drove this variant too and found it too be very likeable. It sounds like an AMG too, especially when heard from the back seat and is quite a handler as well. The 450 bridges the gap between the regular GLE Coupe and the bonkers AMG 63 S.
All that power has to translate to good dynamics too. The Coupe's suspension and chassis were in fact developed to offer sporty handling and less body roll. On the road, it's a great high speed handler and holds pace effortlessly without any complaints. It's involving even on twisty sections like the ones we experienced in the Austrian Alps but it does feel heavy and cannot be compared to a sportscar. The various driving modes are handy - you get to choose between Comfort, Sport, Individual, Sport+ and Slippery. The modes basically tweak the steering, suspension and engine settings. 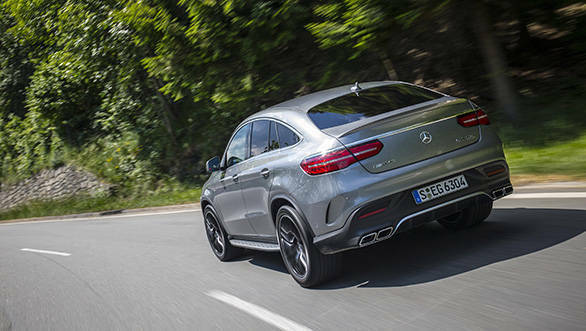 The GLE Coupe proves that unconventional body-styles can also be appealing. The BMW X6 proved it and it's now time for Mercedes-Benz to do the same. The GLE coupe will go on sale internationally in a few months but don't expect it to arrive in Indian showrooms anytime soon.